Knock Knock – Who Will You Buy for? When it comes to stationery, you all know how much of a fan I am. Okay, fan would be an understatement. I’m a full blown stationery addict! Having been on the hunt for lots of new stationery to ask Santa for, I’ve found some amazing brands, but one that I already knew of, one that has been a firm favourite for years is Knock Knock.. I first found out about Knock Knock when I was looking for a way to tell my best friend how much I loved her for her birthday a few years ago. On the hunt for something that was sentimental, I stumbled upon the ‘Fill In The Love Journals’ and since then I’ve bought them for all my nearest and dearest friends and family. 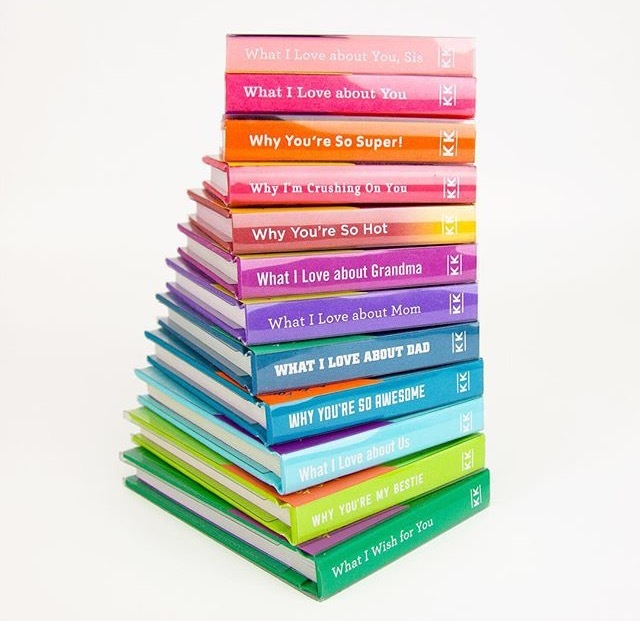 The ‘Fill In The Love Journals’ are these beautiful mini books, which are hardbound and brightly coloured and come in so many variations that there will be one for almost everyone in your life that you could think of. The idea with a ‘Fill In The Love Journal’ is that this little book is designed to tell the person who’s receiving it, just how much you love them. It does this by giving you 50 prompts to write something in the book. My most recent ‘Fill In The Love Journal’ is called ‘What I Love About Mum’ and has prompts like ‘I love how I got your ___’ and ‘I wish I had known you when ___’. All 50 prompts are wonderful at getting you to write answers that are touching and thoughtful, and so as a result creating a really heartfelt gift to give. I know for a fact that my mum will shed a tear when she reads hers – we’re both the emotional type when it comes to sentimentality! These books are only £7.95 each and there are journals for mums, sisters, grandma’s and dads as well as journals for celebrating your love for your partner, for telling your best friend how much they mean to you – and many more. There isn’t a single person in your life who wouldn’t be covered by one of the ‘Fill in The Love’ journals and at such a brilliant price you can understand why I buy these as unique gifts regularly. My second Knock Knock item to tell you about is my Inner Truth Journal. These are amazing journals that are completely personal and you can pick from all sorts of topics – mine is the ‘I’m Kind of Awesome’ journal which is designed to encourage and boost confidence. But there are loads to pick from including the ‘I’m Doing My Best’, the ‘I Gotta Be Me’ and the ‘I Need To Unplug’ as well as many more. The journals themselves are full of amazing quotes and prompts to help inspire and motivate based around your journal topic. In fact, in each journal there are over 70 of these, and all of them are full page size, so really powerful and full of impact when you read them. My chosen ‘I’m Kind of Awesome’ journal features amazingly encouraging and motivating quotes which are all about boosting confidence and feeling good about yourself. As a woman, the quotes really stand out to me and I haven’t read one which doesn’t make me think deeply – which is always the aim of a good quote! The Inner Truth Journals are priced at only £11.95 – which considering it’s a really good size and very chunky, and an excellent quality product makes it a brilliant purchase! I’m going to use mine as an everyday notebook to jot down my ideas and lightbulb moments. I always have these ideas and thoughts but rarely have anything to store them in and this feels like the perfect place to do that. I am a HUGE fan of Knock Knock products because somehow they’ve taken basic stationery ideas and created these unique and quirky products with a penchant for being heartfelt and thoughtful. While combining practical products to help you keep organised as well as many other things, their products bring fun and more than just a hint of laughter! 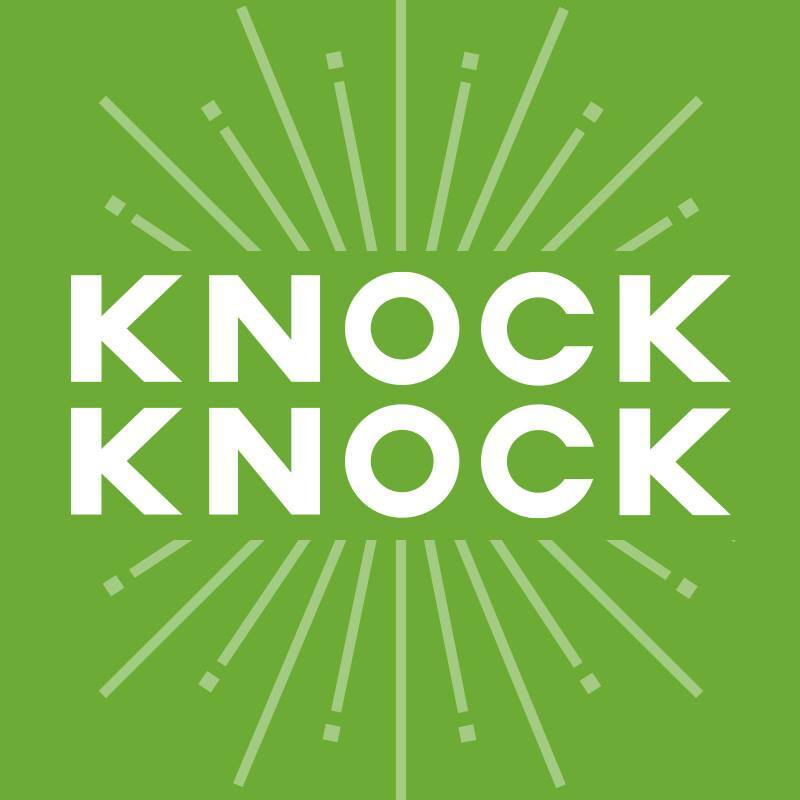 Their products are so distinctive, I’ve yet to find anything like them elsewhere, which I think is why time after time when it comes to buying gifts, Knock Knock are one of my go-to brands. And with every new range they release I fall a little bit more in love with their designs! Make sure you’re checking Knock Knock out and adding one of their ‘Fill In The Love’ journals and ‘Inner truth’ Journals to your Christmas buying list – your friends and family will love you for it!